Seems like an easy question, right? I’ve never taken a philosophy class and my kids tell me I’m not a deep thinker, so I certainly cannot answer the question…at least for you. Although I do know the answer for me. Why write something about this question in one of my weekly articles? Well, because I came across a book that tackles the topic of whether money can make you happy. 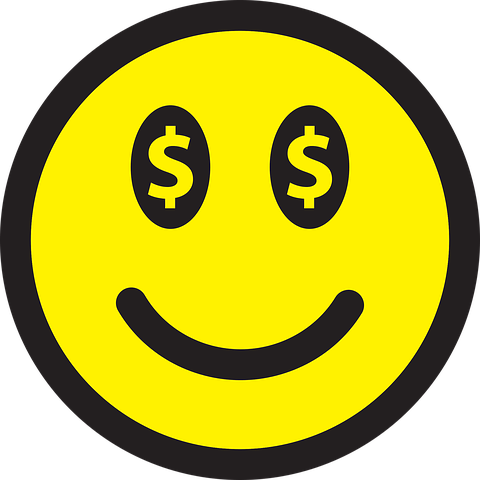 The book is titled Happy Money – The Science of Smarter Spending and is co-written by a psychologist and a marketing professor. It’s a solid book and an easy read. Definitely one I recommend picking up from your local library.There are five key points the book covers and let me dive a bit deeper into them. Most people say they prefer to have stuff versus spending money on an experience. Makes total sense as stuff lasts longer, at least the physical component. The researchers flipped the question and asked participants if they would give up memories of purchases or memories of experiences. In this case, the answers were consistent that they would rather keep the experience memories. Next time you are considering whether to spend some money on a 4k TV or a 4-day vacation, think long and hard about which one you will enjoy more. Their research showed by regularly buying something we get used to the purchase and it loses its luster.The example they use is visiting Starbucks on a daily basis. Does the coffee feel like a treat if you are having it every day? Or, what about those things you take for granted where you live but visitors may go out of their way to visit if they are in town?In my example, I have never been to the Rock and Roll Hall of Fame, although it is 30 minutes away and people travel from far and wide to see it. Oh, and their research shows the treat doesn’t have to be big to enjoy it. This philosophy is certainly the opposite of using credit cards to buy stuff, like a vacation. The research showed paying up front for something, whether it is a product or an experience, makes getting it more enjoyable.Think back to the days of layaway for Christmas gifts (yes, I remember those). While paying for and getting something immediately is nice, we actually enjoy waiting between the purchase and getting the item. This point was interesting because it really comes down to the old “time is money” argument, and not necessarily time management. Their findings showed that people are happier when they spend a few extra bucks to get back some time. Let me share a personal example. I used to mow my yard and it took 1.5 hours each time. I now pay a young man in the neighborhood to mow and I am so glad to have that time back. I’ve simplified my life in one area and am glad I did. Time to break out the Ebenezer Scrooge reference here. Remember how much happier he was when he spent money on others? Their study showed spending on others created more happiness than just spending on yourself. Better to give than receive. This not only applies to charitable giving but to giving to family members. While this book may not answer the big question of whether money can buy happiness, their research shows ways you can be smarter with your spending to increase your happiness. And I figured it was worth sharing a couple of great quotes on money and happiness.